There are some things in life that are worth looking for the best bargain when you are shopping. For example, when it comes to retail, sales are incredibly popular for any shopper. Why would you pay the full price for something when you can get it for half-price? Seems like a good idea, right? Discount prices may seem like a great bargain at first, but when it comes to other things in life (such as your dental needs), it’s better not to become so fixated on the cost. Especially when it comes to your teeth or anything that may require surgical procedures–it’s more important to find the best option for yourself. For instance, researching dental implants is something that should be taken very seriously. Instead of getting caught up on penny pinching, it’s a lot more important to focus on searching for a safe and skilled dentist with years of successful experience doing dental implants. Also, there are many affordable dental implants options out there if you are factoring in the quality and longevity of the implants. Affordable Options: Contrary to what you may think, there are affordable dental implants out there. Beware of discounted, bargain basement ads. However, there are realistic, practical options such as the ones provided at San Antonio KRK Implant Center, which will assure you long-lasting, durable results. Impressive Success Rate: Typically, replacing missing teeth with dental implants has a pretty great success rate, which averages rate around 95%. Prone to Bone Loss: Unfortunately, the longer you wait to get affordable dental implants, you are only giving yourself more problems. When you are missing a tooth, the bone of your jaw naturally begins to decay. Without a replacement, bone loss can occur rapidly and spread in your mouth. San Antonio’s dental implants can help prevent this by filling the space of the missing teeth. Overall, dental implants will help improve your life by making you look and feel more comfortable, natural, and confident. If you are missing teeth or are considering receiving dental implants, please call San Antonio periodontist Dr. Krueger at 210.826.3946 for a consultation today. He will work with you for a solution that will help your individual needs. Whether it’s enhancing your smile or improving your overall dental health, Dr. Krueger can help with any goals you may have. Smiling is truly one of the most attractive qualities a person can have. When people are genuinely happy or laughing, it shows a soft, authentic side of who they are. Having a great smile is something that is important for not just physical aesthetics, but also for your mental health. That’s why if you have missing teeth, smiling may make you feel a bit insecure or uneasy instead of relaxed and confident. Luckily, there are ways to fix that. We know what you’re thinking: “If I have missing teeth, I may need dental procedures which might be quite costly.” However, there are a lot of affordable dental implants out there. At KRK Implant Center, there are several implant options that the facility offers for its patients. San Antonio periodontist Dr. Krueger can work with you to get you lasting, affordable dental implants. The procedure of placing dental implants is a very delicate, meticulous process. That’s why only specialists like Dr. Krueger in San Antonio are trained to do such procedures. Patients are typically wary of seeking out this process due to the notorious idea that dental implants are very costly. However, when it comes to your dental health and fixing your smile, there is really no other option than to pick a viable, lasting solution. When choosing an affordable dental implant facility, you should make sure that its dentists are implant specialists and have a lot of experience. In San Antonio, Dr. Krueger is highly trained with placing dental implants for patients. He places hundreds of dental implants each year and in total has over 30 years of experience in dentistry. It’s important to factor in experience, education, and training when choosing the best option. Bargain basement dental implants: Some places appear to be cheaper up front, but end up tacking on additional costs resulting in a higher total price. In the end, these places could end up costing you as much or more than a qualified facility. Cheap prices for cheap quality: Places that offer inexpensive options may be cheaper in cost but will also cost you in the long run due to quality. As the old saying goes, “You get what you pay for.” It may seem cheaper up front, but over time, you are putting yourself at risk for implant failure, which will cost you much more later on. The important thing to remember here is that you are paying for lasting, durable results. If you search for the cheapest option, you may pay less in cash, but you will pay more in your long-term dental health. It’s essential to keep these things in mind when choosing a facility. In San Antonio, Dr. Krueger can do an initial consultation and help explain more in-depth about KRK’s affordable implants. This way, you can rest assured knowing that you have made an informed decision. To call or contact KRK Implant Center in San Antonio, call this number to speak with a dental implant expert: 210.826.3946. Can All-on-4 or All-on-6 Restore My Smile? Countless San Antonio patients struggle with how to restore their winning smiles. One of the newer and most successful developments in full dental implants is All-on-4. This procedure uses four implants to replace your upper or lower set of teeth. While All-on-4 has gained rapid popularity, the procedure is not intended for all patients. Some people require six dental implants known as All-on-6 for a secure and comfortable fit. Once attached, both All-on-4 and All-on-6 act just like your natural teeth. You can brush and floss normally as well as enjoy your favorite foods without any problems. Am I a Good Candidate for All-on-4 or All-On-6? All-on-4 and All-on-6 are procedures designed for patients who want to replace their entire upper, lower, or both sets of teeth with dental implants. Depending on factors including your dental anatomy and bone density, Dr. Krueger will suggest the treatment that is right for you. Extensive tooth decay or damage. Several missing teeth or scheduled removals. To find out which treatment is right for you, your dentist or periodontist will perform a comprehensive oral exam and imaging to determine how many dental implants are required to support your new teeth. Dental arch rests on four dental implants. Dental arch rests on six dental implants. More predictable long-term outcome for patients whose bone is thinner. * Bone grafting may be involved in either option. Success rates are high and many of the drawbacks can be avoided by finding an All-on-4 and All-on-6 expert in your area. Some implant specialists are simply inexperienced with the procedure and reluctant to try an unfamiliar technique on patients. Position and surgically secure four or six dental implants to your upper or lower jaw. Attach a strong set of temporary teeth to the implants. Follow up exam after two weeks to determine if you are healing well. Replace temporary teeth with permanent ones after 3-4 months. While recovering, you will have follow-up appointments to check on your healing. Once your new smile is in place, routine check-ups will keep your new teeth healthy and strong. To schedule a consultation and find out whether All-on-4 or All-on-6 is right for your, call our offices at (210) 826-3946. If you have missing teeth, chances are you aren’t too happy about it. Aside from the physical reminder every time you eat, you have the added frustration of second-guessing yourself every time you want to smile. For patients in San Antonio, teeth implants can provide an attractive solution to these issues, but did you know they can also help promote your long-term dental health? Prevents bone resorption: without teeth rooted in your jawbone, it can actually b absorbed back into your gums. Over time, this can lead to a change in the structure of your jaw that can even alter the appearance of your face. Dental implants form a strong bond with your jaw, preventing bone resorption, and helping maintain your overall oral health. Immediate replacement: even though your permanent crowns may not be ready right away, you’ll never leave our office without teeth you can use and feel comfortable about. Dental implants can be placed very quickly, and we provide you with temporary crowns while you wait. Protects neighboring teeth: alternative replacement methods, such as partial dentures and bridges, require support from neighboring teeth to stay in place. Over time, this can actually weaken those supporting teeth and even cause them to fall out. Dental implants draw support from the bond they form with your jaw, so they will never damage adjacent teeth. One of the biggest benefits of dental implants over other methods of treatment is that they’re made to last a lifetime. Whereas partial dentures and bridges deteriorate over time and typically require replacement, dental implants provide a great looking solution that also stands the test of time. If you’re looking for replacement teeth that not only look and feel like natural teeth but also help preserve your long-term dental health, call KRK Implant Center today to schedule your consultation. Rest assured, you’ll leave with a smile on your face. Want tooth replacement that also ensures your long-term dental health? The San Antonio teeth implants experts at KRK Implant Center can help. Call us today at 210.826.3946 for your consultation. Inability to get proper care, neglect, a traumatic accident – when you have missing teeth, the “why” doesn’t really matter. You just want a solution that will restore what you’ve lost: form, function, and self-esteem. San Antonio dental implants patients often research all of their alternatives before making a decision, but aside from all their many benefits, what brings them back to implants is that they are made to last. Before: Dr. Krueger will take the time to get to know you and your specific situation. He’ll work with you to craft a treatment plan that works with your schedule and make sure you’re prepared for a successful procedure. Any additional dental work necessary prior to implant placement can often be done the same day. During: During your implant procedure you can choose to be awake, relaxed, or completely sedated. Dr. Krueger will place the dental implants directly into your jawbone, minimally impacting your gums. The entire procedure typically takes only 30 minutes to an hour to complete. After: You will regain feeling in your mouth between 3-5 hours after your procedure. Because Dr. Krueger’s technique requires little interaction with your gums, you will not likely need any stitches and should have minimal, if any, swelling or bruising. You’ll be prescribed medication to help manage your pain – most patients require only over-the-counter remedies. You will schedule a follow-up with Dr. Krueger for a few weeks later and be given his home and mobile contact info should you have any concerns before then. Once your implants have fully integrated into your jawbone (6 weeks – 4 months later), you’ll be fitted for your permanent crowns. Dental implants look and function just like natural teeth. You can even eat just like you always did and brush and floss normally. The best part about implants, though, is that they’re intended to last a lifetime. Other treatment methods like partial dentures and bridges may cost less in the immediate, but they deteriorate over time, necessitating replacement. In the long run, quality dental often cost patients less while providing superior function and appearance. If you’re looking for a solution to missing teeth that will last, call us at KRK Implant Center today for your consultation and see for yourself why dental implants are right for you. Looking for a lasting fix for lost teeth? The San Antonio dental implants experts at KRK Implant Center are here to help. Call us today at 210.826.3946 for your consultation. These days, finances are a concern few people are immune to. With every little expense quickly adding up, the cost of dental care is the last thing you want to think about. When you live with missing teeth every day, though, eventually frustration gets the better of you and you start considering your options. For many patients in San Antonio, dentures seem like the logical choice, because they offer a low-cost solution in the immediate. 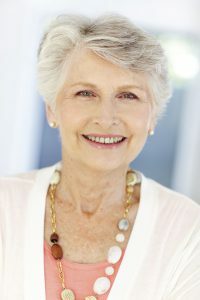 While it’s true that dentures are typically the least expensive up front, they carry with them a number of drawbacks that may end up costing more than you think. Jawbone Deterioration: without teeth rooted in your jawbone, it will begin to deteriorate over time. This can actually alter your facial structure, giving you a collapsed appearance, and weakening your jaw. Damage to Neighboring Teeth: partial dentures require support from neighboring teeth to stay in place. While this doesn’t pose an immediate problem, over time, the pull on those supporting teeth can cause them to loosen and even fall out. Denture Replacement: even the best dentures are only a temporary solution. They wear out over time and typically require replacement every 5-8 years. Depending on how many replacements you need over the course of your lifetime, the cost of replacement alone could exceed that of other options. Though dentures offer a low-cost remedy in the short term, when you consider the additional expenses they can cause over time, they may not be less expensive at all. Dental implants, on the other hand, offer a permanent solution to missing teeth. Not only do they prevent jawbone deterioration and damage to neighboring teeth, but they look and feel like natural teeth and stand the test of time. If you’re in need of replacement teeth, don’t just settle for dentures. Call us at KRK Implant Center today. We’ll work with you to maximize your insurance coverage and can even offer financing if needed. Looking for affordable tooth replacement? San Antonio dentures patients should consider the benefits dental implants provide. Call KRK Implant Center today at 210.826.3946 to learn more. If you had your choice between a Ford Focus and a BMW 750li, which would you choose? Both can get you from point A to point B…and yet, one is widely regarded as a symbol of quality in the automotive market. If only there was such a clear-cut distinction in the field of dentistry in San Antonio. Affordable dental implants providers like to play the cost war with their competitors – offering “the same” level of service for a much lower price. Unfortunately, these bargain treatments aren’t always all they’re cracked up to be. Pre-op planning: one of the keys to a successful dental implant procedure is thorough pre-planning. This can include everything from time spent getting to know your unique physiology to the actual treatment plan itself, but this is an area where many tend to cut corners. Not enough time spent here can mean, at least, an uncomfortable experience during your procedure and, at worst, poor results and the need for follow-up work to fix what was done improperly the first time. Technique and expertise: in any surgical application, there’s something to be said for a practiced hand and well-honed technique. Many bargain providers may be new dentists trying to carve out a niche in the market. While this doesn’t automatically mean they will do shoddy work, you should be willing to accept a practitioner of lesser experience if you choose to go with the lowest bidder. Implant/crown composition: probably one of the biggest areas bargain providers cut costs is in the materials used to make your implants and crowns and the facilities in which they are manufactured. The use of suboptimal materials can cause decreased durability, and function and poor manufacturing can cause equally poor fit and resulting discomfort for you in the long run. At KRK Implant Center, we’re committed to providing the highest quality implants, crowns, and overall treatment possible, because our goal is providing implants that will look great and last a lifetime. We will work with you to maximize your insurance benefits toward our services. We also have financing options available, should you need them. Don’t settle for lesser quality implants and treatment that won’t stand the test of time. Call KRK Implant Center for your consultation today. Need affordable dental implants in San Antonio? KRK Implant Center will work to help maximize your insurance coverage and even offers financing options. Call 210.826.3946 for your consultation today. For many patients in San Antonio, All-on-4 ® represents a transformative approach to dental restoration. In the past, dentists and periodontists didn’t have many options for patients needing to replace most or all of their teeth. The most common method was dentures: a prosthetic that adheres to the gums and offers some of the benefits of natural teeth. However, the past few decades have proven the efficacy of dental implants over dentures, and the introduction of All-on-4 makes full-arch replacement a more affordable, comfortable, and effective solution than before. San Antonio patients who are missing one or several teeth may be good candidates for dental implants. During the procedure, a periodontist places a replacement tooth root (dental implant) which supports one or several crowns. Placing just a few dental implants in specific locations in the upper and/or lower arch. In certain cases, the procedure may require five or six implants for greater stability. Connecting a temporary, full-arch prosthesis to the implants. After a few weeks, the dental implants will have bonded strongly to the jawbone and assumed their final position, and you will receive your permanent prosthesis. These teeth appear and function like your own. Why Is All-on-4 So Popular? Dentures were a natural progression for many patients. They would lose one tooth and receive a bridge, followed by a second bridge, and so on. They would ultimately require a full appliance to serve as replacement teeth. The problem is that bridges and dentures do not provide replacement tooth roots. Without these roots, bone in the area of a missing tooth can begin to erode. This weakens the jawbone and creates a collapsed appearance around the mouth, aging the face. It also forms space between the gums and the bridge or dentures, which can make them look less natural or shift uncomfortably. Because All-on-4 uses dental implants, it stimulates bone growth in the jaw and preserves the existing bone. It also restores the smile during a single procedure without the expense or time-consuming task of creating one root for every implant. In short, All-on-4 offers all of the advantages of dentures but with a more natural appearance and greater functionality. San Antonio All-on-4 patients can contact KRK Implant Center by calling 210.826.3946 or filling out the form on the right. At KRK Implant Center, we built our practice on improving smiles, preserving health, and maintaining comfort during treatment in San Antonio. Dental implants are a surgical procedure, and they do make a dramatic improvement to your smile. However, they do not hurt. Why Doesn’t It Hurt to Have Dental Implants Placed? You’ll begin with a consultation at our practice in San Antonio. Dental implants are tailored to your individual needs, so Doctor Krueger will take the time to understand your goals, answer your questions, and identify the best approach to your procedure. This also gives you the chance to learn what to expect and to become comfortable with our staff. Before your procedure begins, Doctor Krueger will use a local anesthetic. He will ensure it has taken effect before proceeding. You may feel pressure as he places the implant, but you will not feel any pain. If you are anxious about the experience, KRK Implant Center can offer you more extensive sedation that will make you unaware of the procedure as it occurs. This may be a good choice if you are having multiple dental implants placed. Many people who have dental implants placed in our practice tell us they didn’t experience pain after their procedure. Most managed any minimal discomfort with over-the-counter medication. KRK Implant Center is also available 24 hours a day so we can support patients who do require additional care. For a moment, put aside concerns about how it feels to get dental implants, and consider what it feels like to live with your current oral condition. Maybe it’s broken teeth. It could be a progressive oral disease. Or you might be missing a tooth and feeling self-conscious when you eat, speak, or socialize. You might also not be able to chew food as you would like. Dental implants are a restoration procedure that returns full function, feel, and aesthetics to your smile. If you are experiencing daily discomfort or unease, you will likely find the implant procedure is very easy. Whatever your reason for considering dental implants, we encourage you to contact our practice to learn more. Understanding how we work and how we support you in your experience will make your decision a much easier one. Considering tooth replacement in San Antonio? Dental implants by KRK Implant Center offer a pain-free solution. Call 210.826.3946 or fill out the form on the right.